Between giving ourselves a raise, saving during the holidays, and investing with less than $1,000, we’re as giddy as children over here at MomVesting. Here are some of our favorite posts that we came across this week. Hopefully, after reading them, you’ll be as excited as we are. Dividend Monk brings us 5 Dividend Stocks that have gone NOWHERE for a Decade (and why you should care). Of course if the yield is high enough, "going nowhere" is just fine for many dividend stocks. 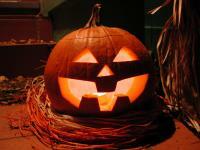 Welcome to the Halloween edition of the MomVesting links round-up. Here are some of our favorite finance stories of the last week as well as a recap of the subjects we discussed and some blog carnivals in which we participated. We also wanted to take this time to thank all the bloggers in the personal finance blog-o-sphere for the warm welcome. Also, if you don't already, be sure to Follow us on Twitter and Facebook. Welcome to the first MomVesting Round-Up! We'll be looking at some articles about personal finance and investing that caught our eye this week.